This recipe is a simple and delicious combination of peppery arugula and sweet sundried tomatoes. Mix in arugula. Let sit for 10 minutes to slightly wilt the arugula leaves before serving. 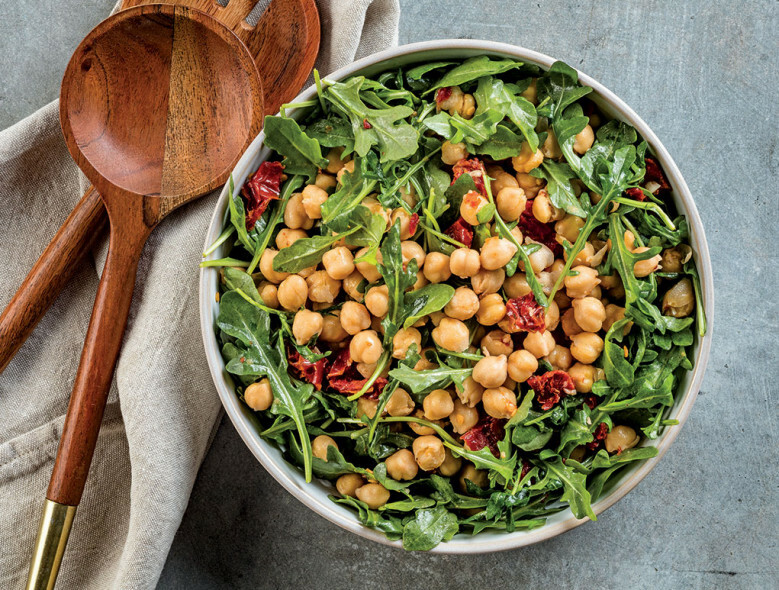 Combine garbanzo beans, drained tomatoes, and garlic in a salad bowl.